We're back! Thank you all for your sweet words of congratulations and happiness. We are very thankful and excited. We will find out the gender on June 1st and I am PUMPED. I really feel like if it's a girl I'll be thrilled and if it's a boy I'll be thrilled. Can't lose. Just curious! Disney was awesome. SO awesome. We take this trip with Grant's family every few years and it was so fun to do it with Ellie. 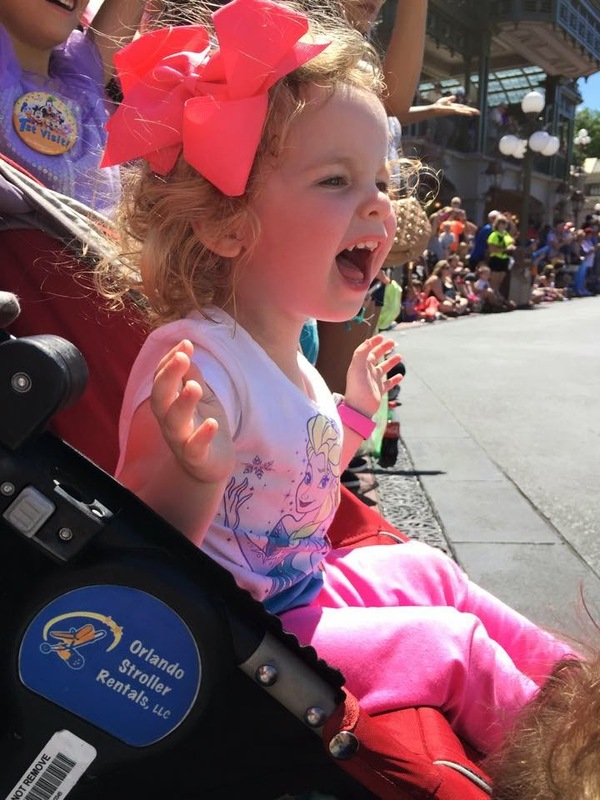 She has actually gone to Disney once before, but she was only 7 months old at the time so let's just say her Disney experience at that time was spent in a stroller and crying. This time she was 2.5 years old and SHE. WAS. DELIGHTED. Also, if you follow me on Instagram, you will see a video of her meeting Mickey Mouse that makes me sob. We were in the parks for 3 days. We did go back to the hotel for naps each day. This was perfect for us as we were able to go back out with her late in the afternoon and stay out till pretty late at night. On Thursday we went to Magic Kingdom, and Epcot post-nap. On Friday we went to Hollywood Studios and then Epcot again post-nap (Epcot was within walking distance of our hotel) (we stayed at Beach Club Villas) and then Saturday we went to Animal Kingdom and then back to Magic Kingdom after naps. She was able to meet Mickey, Minnie, Donald, Sofia, and someone else that I'm not remembering right now. 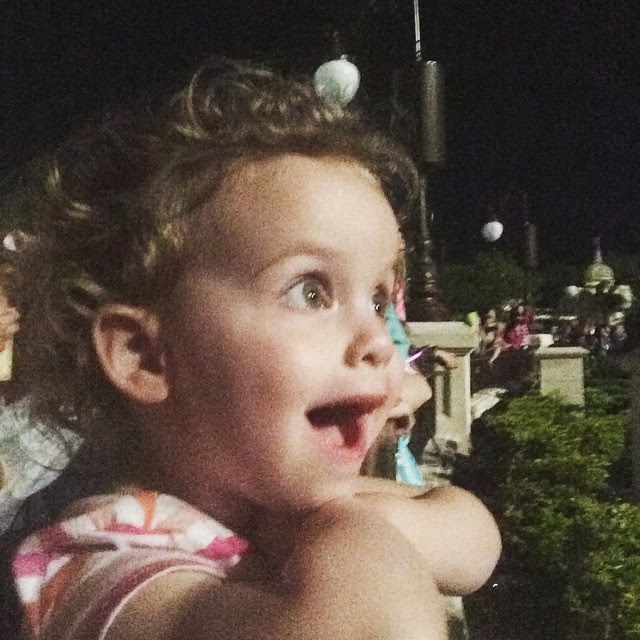 We saw the Disney Junior show which she loved, and also did the Frozen Singalong (ADORABLE) and the Finding Nemo show at Animal Kingdom that was AMAZING. Blew me away, for real. Broadway, right there. I can not recommend this enough! It had plenty of storage and cupholders for us, too. Here's Ellie in her chariot, screaming at Anna and Elsa. Also, I'd like to mention that during this parade, Ariel was way up high in a seashell and she looked right at me, threw her hands up in delight, then pointed at me and said "OooOooh! I LOVE YOUR HAIR!!" Another tip I would like to add regarding transportation - depending on where you stay, you have to take buses to various locations throughout the Disney resort. This sounds simple enough, but sometimes the buses are full. And sometimes the buses stop 10 times before you arrive at your intended destination. And sometimes it takes you an hour to get to where you want to go. And sometimes that doesn't put you in a very Disney mood. The first morning, we asked the bell desk if we could get a cab to the Magic Kingdom. Apparently cabs aren't allowed to go to the Magic Kingdom. Hard rule. No Magic Kingdom for the taxi cabs. Mr. Disney refuses. However, cabs CAN take you to the Contemporary, which is right next door. So we did that. We split a cab and loaded up the kids and the strollers and were taken to the Contemporary, and then we had a short 4 minute walk to the park. It was the best decision we made that day. Except for the decision I made to eat macaroni and cheese covered in brisket. THAT WAS AN EXCELLENT LIFE CHOICE. I love everything about this. We're planning to go when our little guy is 6 and I cannot wait (except I must)!